Are you planning to give your home a fresh look without spending too much money? 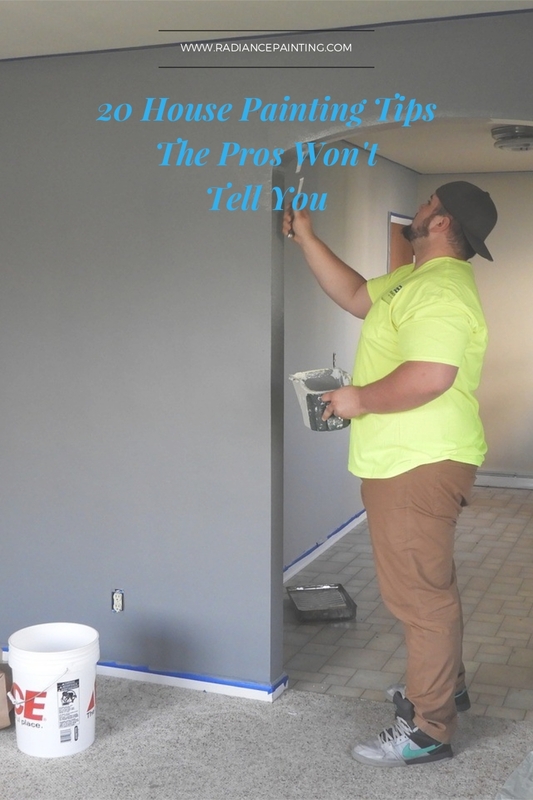 If so, house painting is a perfect solution because you do not need to call a professional to work on this project. You can accomplish an expert paint job with these 20 house painting tips. It takes time to dry the paint on your walls. If you paint on rainy days, expect the paint to dry slower than usual.However, if it is inevitable to paint on these days, you must spend time correcting your errors before applying the next coat.Make sure you do not overwork the paint because it will reflect on the finished project. Before you proceed to the actual painting job, you must conduct a thorough inspection on the areas where there may be cracks and flaking.You can lightly scrape these areas and thoroughly rinse before putting primer and paint. The reason why you need to do this is because the new coat’s weight loosens the old paint. Failure to do so means wasting your money and time. If there are greasy spots on the surface of the wall, wash them with soap. Then, rinse it with clean water. Alternatively, you can wipe-down the wall with a damp cloth. This way, the entire surface will be free from dirt and dust. Aside from paint, you need other important tools such as painter’s tape, roller covers, and brushes. When you buy any of these products, always choose the best quality ones. They contribute a lot to your painting job. Top quality roller covers and brushes offer excellent coverage. This implies that you do not have to spend time on re-application. The state-of-the-art painter’s tape works best for sealing blurs and drips. First of all, you should determine what parts of the house you want to get painted. Then, you can proceed to cover areas such as furniture and floors before getting started with the paint project. Protect your doorknobs using drop cloths and a small plastic bag with tape. Many impatient homeowners skip this important house painting tip. You should not forget to remove the covers of outlets and light switches. If your wall surface is clean and smooth, you can use paint-and-primer combinations. However, if you deal with issues or it has been almost a decade since your last paint, use a separate primer. 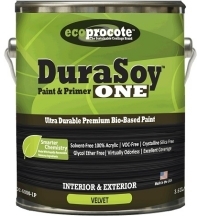 A bonding primer is used to cover a challenging surface. The premium paints manufactured nowadays flow easily. Of course, you need a decent quality roller cover for an amazing result. All you need is an extension pole to reach the farthest areas without hurting your back. When painting, you should follow one direction for consistency of the paint flow. Start from the top portion of the wall surface down to the bottom. Once a surface starts to dry, better leave it that way. When you go back over it, there will be color streaks and marks on this surface. Scraping paint can be time-consuming because you must deal with the smallest flakes of paint. However, you can leave that area alone if the paint edges stay. Your new coat of paint can seal these edges and keep them down. Rolling is important because it covers the expanse of siding immediately. You do not need to commit 24 hours for this job. You may spend about 45 minutes rolling the paint and tossing the roller cover. As much as possible, eliminate or minimize the chances of washing your covers and paint brushes. Clean the brushes with water and paint brush comb. A plastic drop cloth is a cheap way of protecting furnishings and floor from any paint splatters. However, you will benefit a lot if you invest in canvas. Why? It is because canvas is rip-resistant and durable. It presents less tripping hazards and lays flat. Unlike these plastic drop cloths, canvas works well in absorbing paint drips. You can just fold the canvas cloths on doorways and around corners. Move your rollers to the full height of the wall. As mentioned earlier, you must maintain the same direction when doing so. Take note that lap marks become ugly stripes when the paint dries. Mix some cans of paint to achieve the desired color to match your home’s overall style. Learn the basics of combining assorted colors if you have to. This way you will not waste paint because you did not get the accurate color combination. The term consistency has been mentioned earlier when talking about the roller’s direction when painting. The secret to achieving a consistent texture is to roll your paint along the edges. It is best to use a three-inch roller and a nap with the same thickness. If you cannot keep a wet edge, try to feather out paint. This means that you are going to minimize any lap marks and uneven layers on a specific area of the wall surface. To achieve a smooth finish, the best thing to do is to sand trim. A single coat of paint cannot hide the sheen and underlying color. Always sand trim before applying each coat. To prevent lap marks when painting a large section, roll the dry roller in various directions covering the dry edge. When applying the second coat, you can roll the paint in the opposite direction. Doing so reduces or eliminates the lap marks on the wall surface. Painting your walls is an effortless way to transform your dull-looking room into a lively place to stay. While you can perform this job on your own, you must be very careful. Otherwise, your visions of a lovely home can turn into a nightmare. Follow these house painting tips to save money and time dealing with exterior and interior painting services. Mark Theison is the company administrator of Radiance Painting for many years. His years of experience as a company administrator made him knowledgeable on all techniques, designs and technology to provide satisfactory service. He also provides Ideas and knowledge by creating articles to share, encourage and motivate people to lift the glamour and the glow to their surroundings. Chemical stripping might work. No easy way to do this. Best to leave the finish on; wash, sand to roughen up, prime then paint.